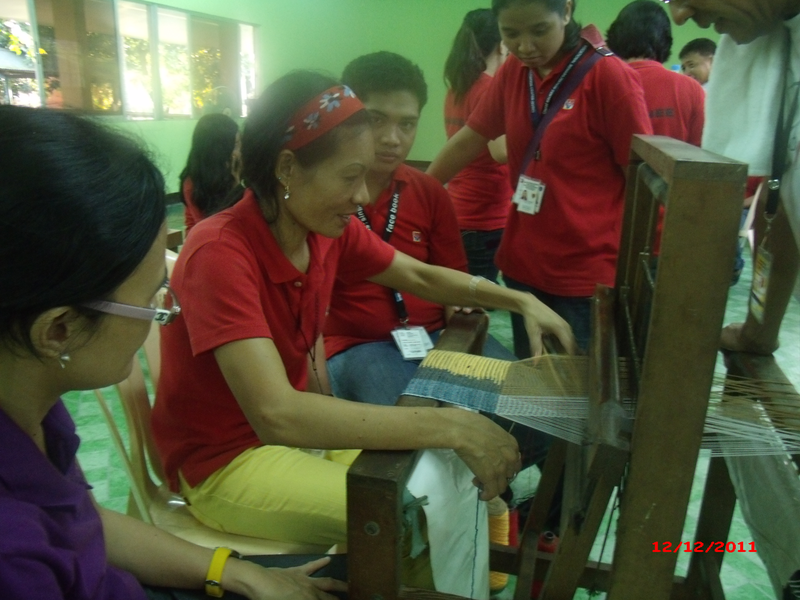 Twenty one (21) trainees joined the 3-day Saori Weaving Workshop jointly held by the Natinal Council on Disability Affairs and the National Vocational Rehabilitation Center last December 12-14, 2011. Saori is an art of weaving by hand dedicated to free expression and self-development for everyone, regardless of physical or mental ability, age, or artistic aptitude. It is pure improvisation from the heart, with no premeditated pattern in mind. From the colourful woven material, clothing, bags, tapestries, and many useful items that can be appreciated by all, can be created. Ms. Rebecca M. Santos. Founder and Executive Director of Saori VSA Arts Philippines, with trainors Mr. Jowee Martinez and Mr. Sandy Ching (deaf trainor), taught the group composed of 12 deaf, 4 with orthopaedic disabilities and 5 dependents. The enthusiastic group capped their training with a showcase of artistic talents expressed in their attractive woven products exhibited on the last day of the Workshop. The NVRC officials thanked NCDA for choosing NVRC as project host which stands to usher in work opportunities for new Saori weavers. With assurance of a market in Japan, this widens the limited work opportunities for people with cross-disabilities including those with visual problems. 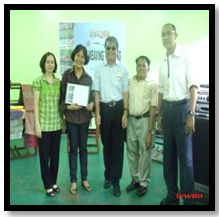 With the Workshop’s success, NVRC Social Welfare Officer III Ms. Amor Macapanpan requested NCDA for a part 2. 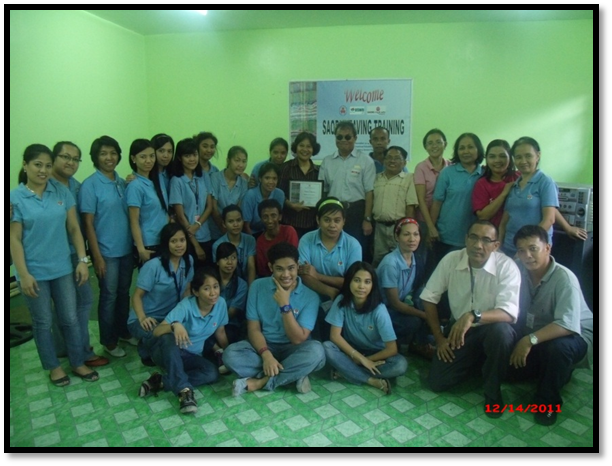 Deputy Executive Director Mateo A. Lee, Jr. said that it is just a beginning of new opportunities for PWD entrepreneurs.